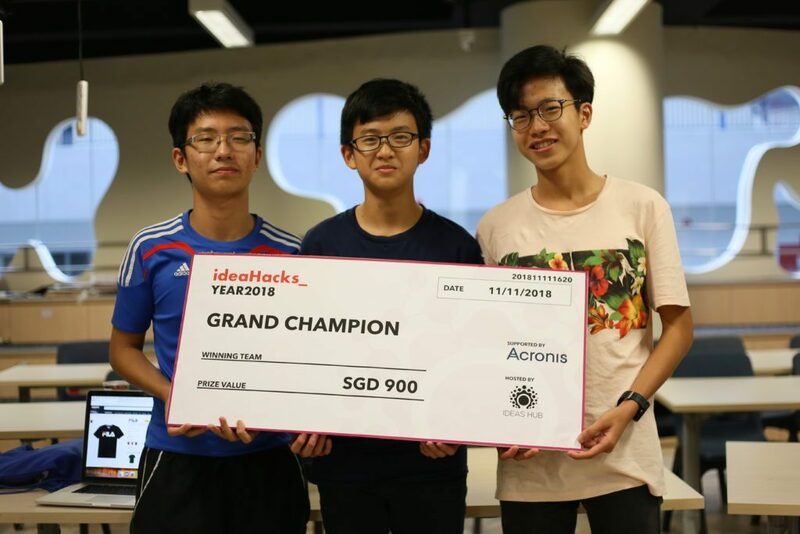 These Raffles Institution (RI) students, ages ranging from 15 to 16, have developed a personal finance app for teenagers called, Bridge. Bridge aims to roll out by the end of April 2019 to the rest of RI, and then islandwide. Applications like PayNow, RazerPay, and YouTrip, just to name a few, have become increasingly ubiquitous in Singapore. Besides making peer-to-peer cash transfers more seamless and cashless transactions simpler, these apps let users track their transactions and even present data that can help them better manage their money. There is also the POSB Smart Buddy programme, launched in 2017, which lets primary school children make cashless payments via a smart watch and allows parents to monitor and track their children’s expenditures (and even location!) with an accompanying app. 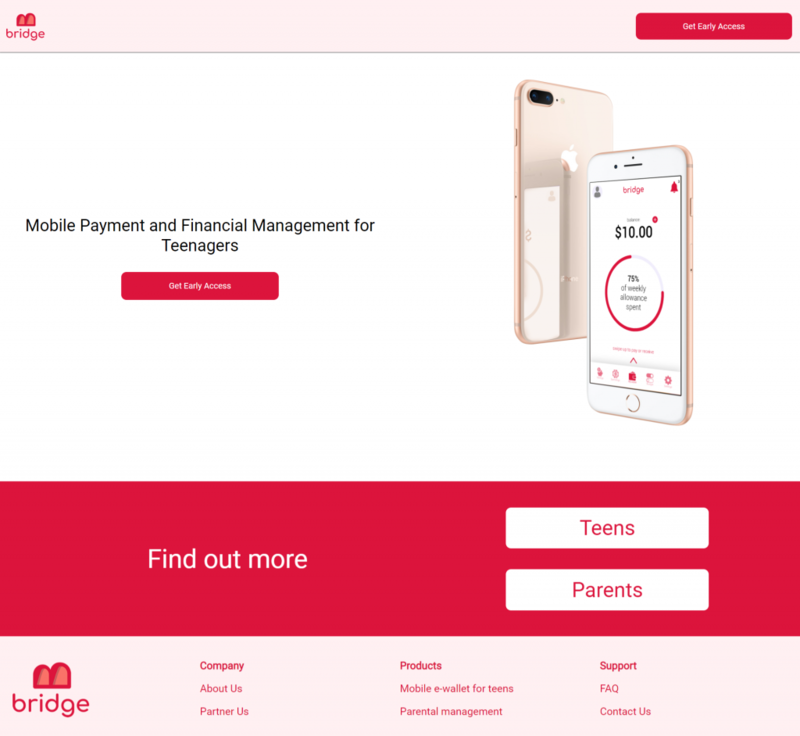 Now, there’s Bridge, a mobile payments and financial management platform for teenagers, created by five teenagers who are participants in the first cohort of The Start Pre-Accelerator powered by StartupX. 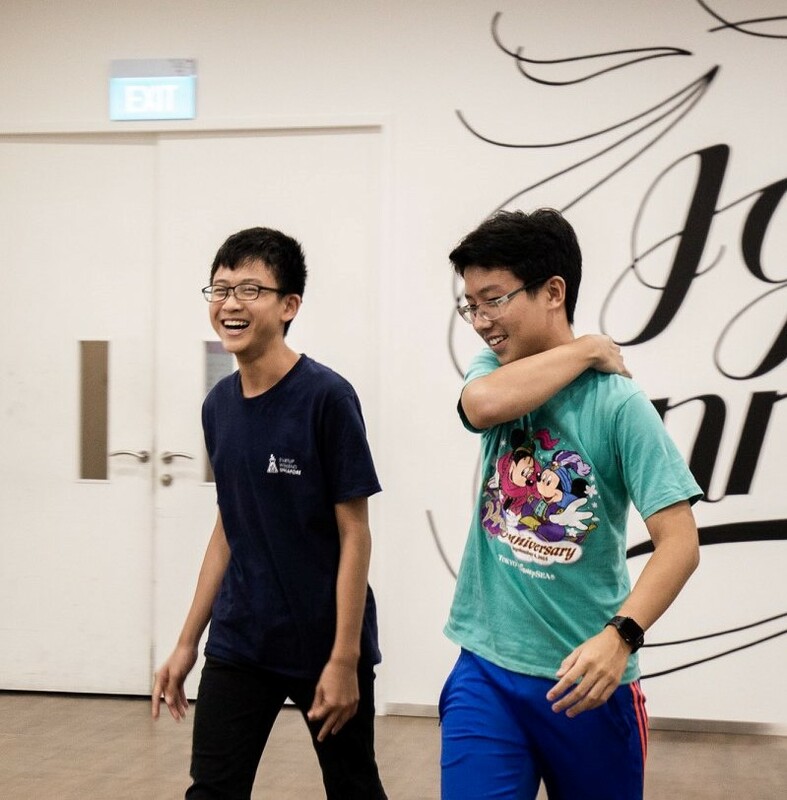 The Bridge team is made up of co-founders Rafael Soh (15), Robert Xiu (15), Chai Jiacheng (16), and software engineers Ng Mun Hin (15), Heng Teng Yi (15). We spoke to them on their venture so far and their plans for Bridge. Before Bridge, their parents would give them pocket money in person before they go to school every day or every week, Rafael explained. He said that it is “extremely inconvenient” to ask for additional or emergency money because parents may forget to dispense allowance sometimes. “I personally do not know of any friends [who] bother managing their finances… because of the inconvenience involved with financial management,” he added. Rafael shared that spending cash is untraceable and carrying cash is not secure which makes effective management difficult and cumbersome, putting off many teenagers. “We also felt that mobile payments were a cool functionality of mobile phones, but were disheartened that they were only targeted at adults, so us teenagers who lack a credit card are unable to use those services,” Rafael said. The team began work on Bridge early this year in January, when they noticed how many of their peers, as well as themselves, tend to bust their budget. “We also realised that though cashless systems were much more transparent, efficient and secure, we could not access them,” Rafael shared. They are still in the middle of constructing their product and hope to finish by late-April, as Rafael added that a lot of time and effort is spent in ensuring that their system is fraud-proof. Bridge incorporates the “cool aspect of mobile payments”, and the transparency and security of cashless systems would enable them to manage their finances better. Rafael explained that upon registration, teenagers will get an e-wallet linked to their parent’s bank account, through which they will be able to spend, budget, and save their allowances. On the parents’ end, they will be able to transfer allowances and supervise their child’s finances, so they can better lead their children to financial literacy. “Security is a huge concern considering the fact that many parents are worried that our system is unable to ensure the safety of their children’s finances,” Rafael said. He explained that as a financial service, cyberattacks and fraud are “huge concerns”, especially for parents who want to ensure that Bridge is safe and secure for their children to use. Rafael assured that Bridge follows all the security practices required for any kind of financial application. “All of our user’s data is encrypted with bank-level security (AES256),” he said. Part of the registration procedure requires the users to go through the typical Know Your Customer (KYC) processes. Besides security, reaching out to merchants to onboard them onto Bridge is also a challenge. Rafael’s role as the business development lead mostly involves customer acquisition and merchant relations, like reaching out to students, parents, schools, merchants, and payment firms. “Many of these partners and customers are crucial to our business, thus establishing relationships and leveraging their resources is very important,” he added. Rafael also manages their social media sites, fostering a community of teenagers who are keen to become financially literate. “Ever since I was young, I had always dreamt of starting a startup of my own,” Rafael recounted. He shared that his journey has been “difficult but rewarding” and also frightening, given his young age. 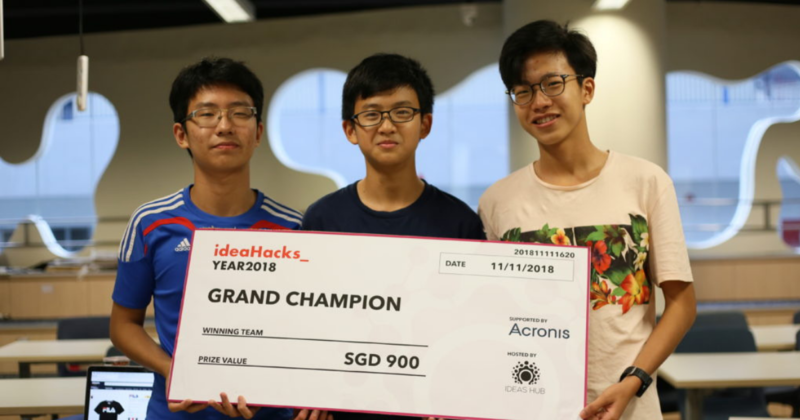 “Before starting Bridge, I had also spent an entire year going for numerous hackathons with my teammates; the adrenaline of rushing to complete a project in two to three days felt exciting to me,” he shared. Rafael’s teammates, Robert, takes the lead on product management and development, while Jiacheng is in charge of UI/UX design. While Robert doesn’t play Minecraft as much as before, he kept learning programming because he found it interesting. 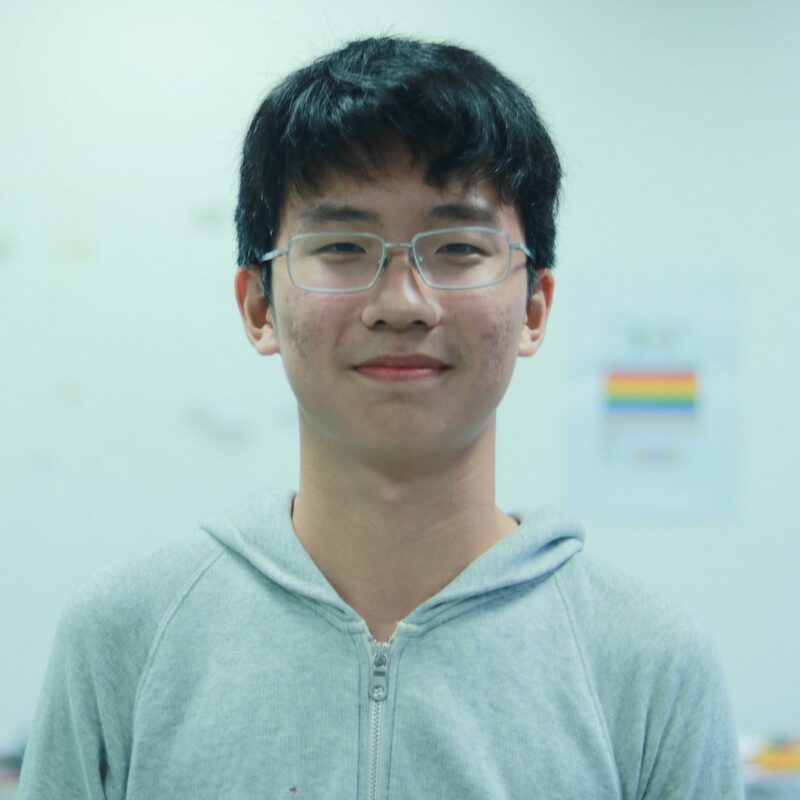 As for Mun Hin and Teng Yi, they both learned programming from the Computer Elective Programme in their school when they were just 13. “[So], being in a programme like The Start has been really beneficial for us as it has given us the opportunity to meet so many mentors who have taught us a lot,” Rafael reflected. They added that they’ve learnt many skills that are essential for launching their business. 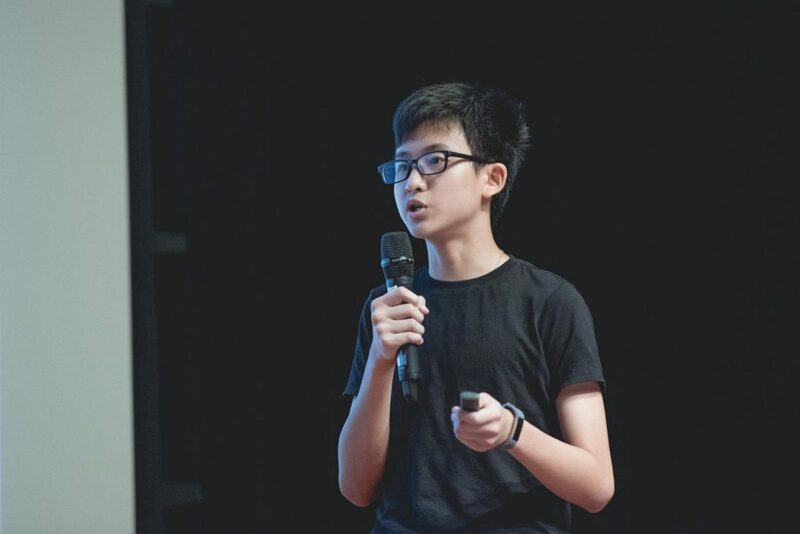 Rafael said that they are looking to launch a close beta in their school, Raffles Institution (RI), with a group of 20 pairs of parents and students on 22 April. “The beta will last for a month, and we plan to expand to the entire school population and merchants outside of the school ecosystem in July,” he explained. Following that, the team hopes to partner with the Ministry of Education (MOE) to roll out the system to the rest of Singapore. By the end of the programme, they aim to launch their MVP in school and reach out to 50 merchants in the F&B and retail industries. When asked on their plans for Bridge after finishing secondary school, Rafael said that they “have no plans to stop”. “We hope to continue expanding to the rest of the secondary schools in the next few years, and possibly even the upper primary school population,” he added. They hope Bridge will become the choice personal finance brand for teenagers. The team believes that Bridge will benefit and impact the lives of their peers and users and aim to achieve that mission. Besides getting support from StartupX through The Start Pre-Accelerator programme, the Bridge team is also looking for investors and partners to join them on their journey to reach their goals. If you’re interested, you can contact them at hello@bridgepay.co. For updates on Bridge, check out their Facebook here or Instagram here.